While Kerala is bouncing back from the havoc caused by the recent heavy rain and devastating flood, discussions are on regarding the rebuilding of Kerala with a new vision, than just mend the damages. Pinarayi Vijayan, Chief Minister of Kerala, has put forth the concept of a ‘Nava Kerala’ (New Kerala), while re-constructing the state and invited opinions and suggestions from people from all walks of life. E M Najeeb, President of Confederation of Kerala Tourism Industry and Senior Vice President of Indian Association of Tour Operators (IATO), has shared his views on rebuilding Kerala, with Tourism News Live. 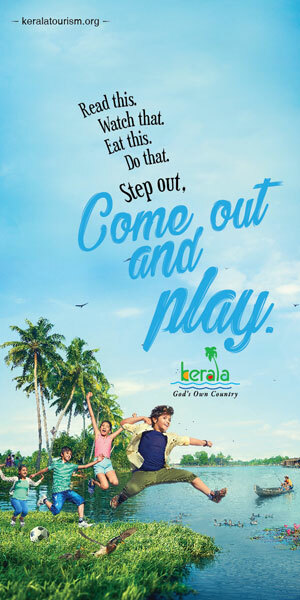 Being in the tourism industry, Najeeb’s vision of building the ‘Nava Kerala’ is giving emphasis to the development of tourism sector, which is one of the major revenue earners of the state. “We should aim at a Kerala that would not repeat the disasters as we have experienced recently. First of all we should cure the bruises the floods have left on us and present the best of the state for the world to see. We should learn from the mishaps and absorb the good things we have accumulated and rectify the mistakes,” he said. Priority should be given in reinstating basic infrastructure in the tourism destinations. All the damaged roads should be reconstructed on a war-foot basis. The damages caused to hotels, resorts and heritage centers should be repaired. We should not only rectify the issues, but also propagate to the world that we are ready in all aspects. The state should seek association of the Central Ministry and the tourism fraternity in the rebuilding process. The rebuilding or reconstruction works should not be just re-establishing what we already have, but efforts should be there to make them better. During the reconstruction processes, priority should be given for reinstating the transport networks. Waste management in tourism destinations also should be given ample preference. Tourism sector should not forget the nature, while implementing new tourism projects or rebuilding the old projects. All the applicable legislation should be followed in all the tourism centres, especially in environmentally fragile regions. All construction activities should be as per the government regulations according to the terrain and the region. Most of the renowned tourism destinations in the world follow this type of planned development. All the construction activities in the state should be eco-friendly and without exploiting the environment. However, these rules have not been adhered by most of the people. The state government and local bodies may not withstand the pressure from the concerned parties. In order to overcome this, it would be better to have a State Level Committee to grant permission to construction activities and monitor it. Construction without permission from this committee should be considered illegal.